The northern mountainous province of Ha Giang will install 45 free wifi hotspots in 21 major tourist destinations in Ha Giang city and four mountainous districts of Quan Ba, Yen Minh, Dong Van and Meo Vac, which lie within the Dong Van Karst Plateau Global Geopark. 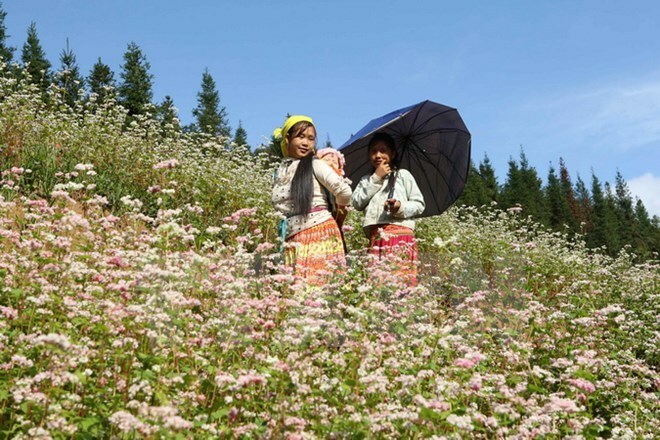 According to Nguyen Van Bac, Director of the Vietnam Post and Telecommunications (VNPT) in Ha Giang, the wifi hotspots will become operational in early this month to serve tourists and locals. The move is part of the province’s efforts to complete its infrastructure system and increase service quality for tourists during festivals and big events, especially the second Tam Giac Mach (triangle oat) Flower Festival and the Mong Culture Festival in the locality. Among areas covered by free wifi are Lung Cu flagpole, Vuong’s home historical relic site, Dong Van ancient town, Lung Cam cultural village, Quan Ba heaven gate, Ma Pi Leng peak, and Meo Vac night market. Bac revealed that the province is finalising works for the hotspots to operate as soon as possible.